Day 1: We have safely arrived in Fumel after a very interesting day of canceled flights. 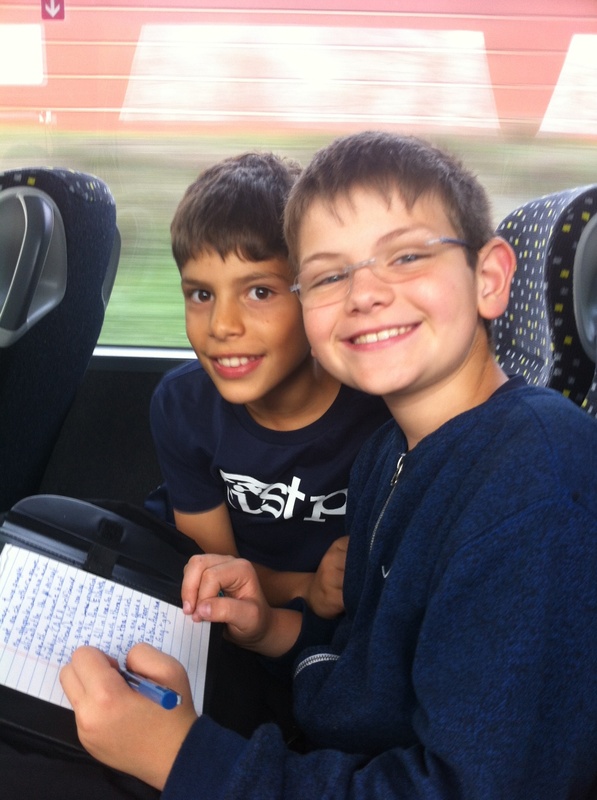 Everyone enjoyed napping on the plane, playing games in the airport, and our bus trip to Fumel. Students are all enjoying their new host families and getting some much needed rest after a wonderful introduction to Fumel. Tomorrow we will be discussing host families, attending classes, and spending more time with our host friends! Day 2: Today has been our first full day in Fumel. This morning was spent greeting our pen-friends, touring the school, and answering questions from various classes in both English and in French. Next, the children went to P.E./Sport with the Fumel students and played two lively games of chase and capture the ball. After a very busy morning at school, the students were feeling jet-lagged, but perked-up when they were able to eat lunch in the cantine with their new French friends. After lunch, the children answered questions in a few other 4th and 5th grade classes, and we then prepared for our excursion to explore Fumel. Although it was drizzling, we enjoyed the view at the Château du Fumel over the river, looking at the amazing features both outside and inside of the Château. Finally, the children finished their day in the school library and played outside with their new friends. 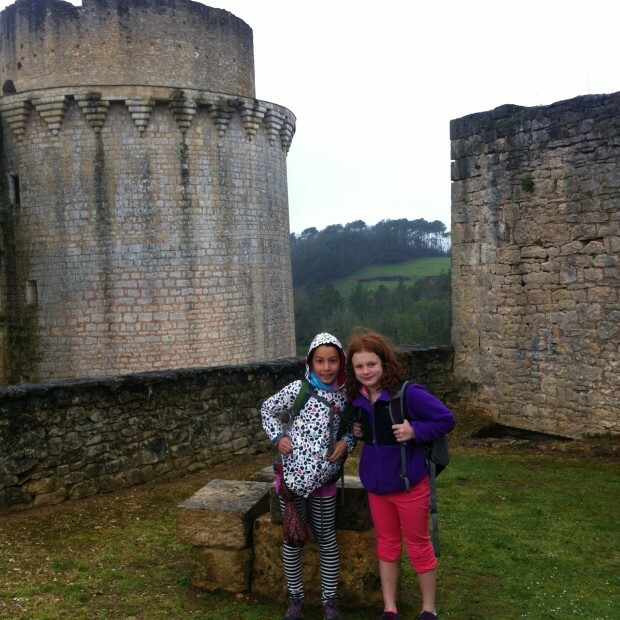 The ISTP students were picked up by their host families at the end of the school day and were taken home, where they will have time to play, eat dinner, and then get a good night's sleep for tomorrow's expedition to Château de Bonaguil. Day 3: Today we actually had some sun between the clouds and rain! All day was spent at the phenomenal Château de Bonaguil. We met at our host school and drove to the castle. The children were filled with awe (even those that are hard to impress!) as we caught our first glimpses of the Château. Upon arrival, we had a brief hike overlooking Fumel and the area around the Château de Bonaguil. We were met by our tour guide, who led us on a very detailed and engaging tour of the castle. 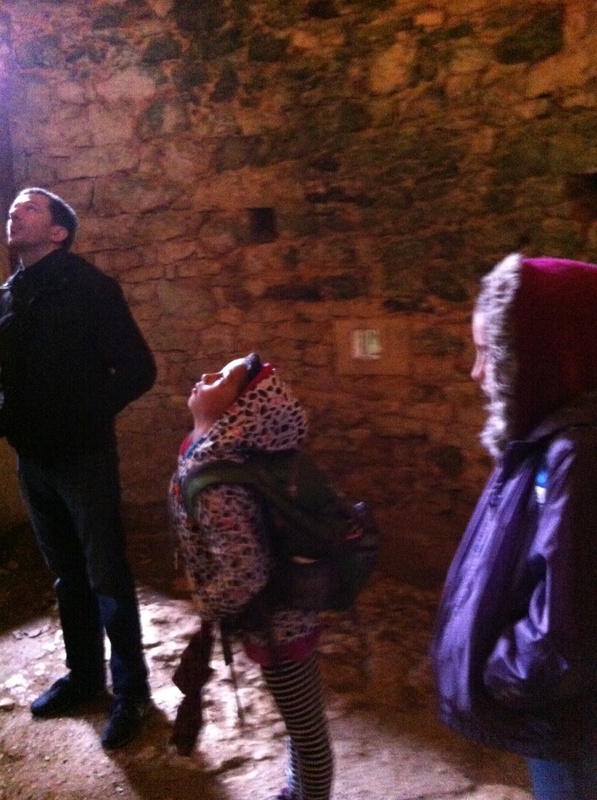 We visited the different towers, the boulangerie, the dungeon, and even saw a medieval latrine. At the top of the castle, we were astounded by the view and stopped for a few pictures. After our tour, we met up with our host class and ate lunch together. 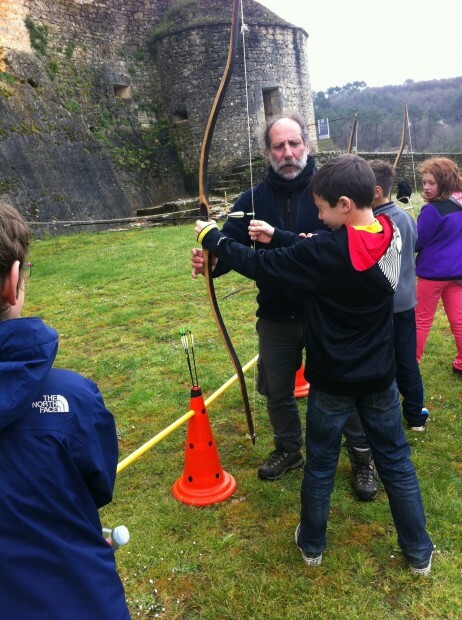 After lunch, the children, Olivier, and I participated in archery. There were two goals: hit the target or hit the balloons attached to the targets. Many children attempted the latter. Both Olivier and I were impressed by their success with archery, their focus, and competitiveness. After we completed our archery practice, we participated in a group scavenger hunt: the orange team vs. the black team. During the treasure hunt, both teams had to work together to figure out clues that described locations in the castle and then find the next clue. The children were very competitive, engaged, and excited about this very fun activity. Both groups finally found their treasure and enjoyed chocolate and souvenirs. Finally, we boarded the bus back to the host school, and students were picked up by their host families for a restful Friday night.